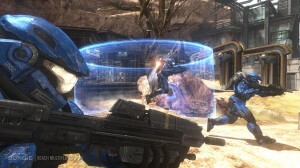 After a 2-week beta testing period during which 2.7 million gamers played 16 million hours of “Halo: Reach” (amounting to 1,826 years of game time), Microsoft today officially announced the full world-wide release date as Sept. 14, 2010 (Japan on Sept. 15). 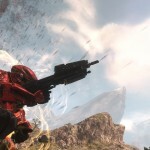 This will be the last Halo title from developer Bungie before Microsoft takes full control of the franchise. The Xbox-exclusive title will be released as a standard edition ($59.99 US), limited edition ($79.99) and legendary edition ($149.99). The limited and legendary editions contain bonuses such as Dr. Halsey’s journal, an embroidered Spartan II patch, and Dr. Halsey’s ONI Badge. The legendary edition also includes a 10-inch tall Noble Team statue created by McFarlane Toys. 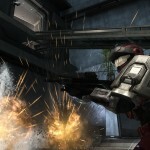 “Just as ‘Halo: Combat Evolved’ catalyzed the success of the original Xbox to define a decade of entertainment, ‘Halo: Reach’ will push the boundaries for what’s possible in video games and help make 2010 the biggest year in Xbox history,” said Phil Spencer, corporate VP of Microsoft Game Studios. Bungie’s partnership with Microsoft ended in 2007, after first releasing Halo: Combat Evolved together in 2001. Bungie will now work with Santa Monica-based Activision-Blizzard for future releases after forming a 10-year partnership last month. Bungie also develops Myth and Marathon. 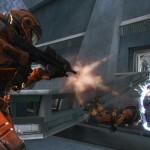 According to The NPD Group, Charttrack and GfK, Bungie’s Halo titles have generated approximately $1.5 billion in revenues. 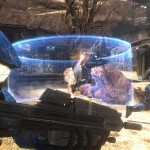 “Halo: Reach” follows the story of Noble Team, a squad of heroic Spartan soldiers as they make their final stand on planet Reach, humanity’s last line of defense between the terrifying Covenant and Earth.